Searching for experts in water heater installation in Los Altos Ca? Hot water is a modern necessity that’s essential to our daily lives. Therefore, whether you’re repairing an old water heater or considering installing a new system it’s important to seek help from a professional. 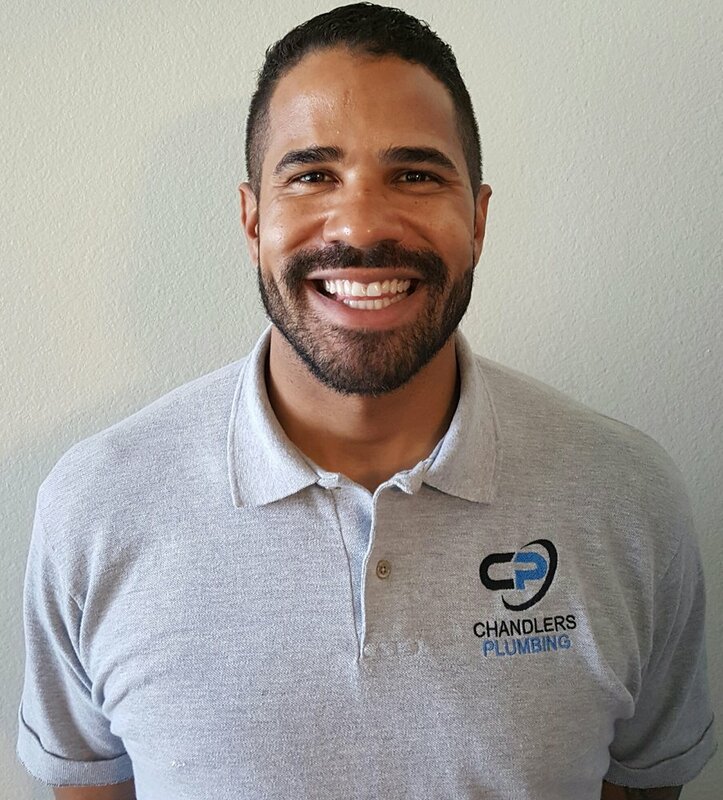 Our technicians at Chandler Plumbing are skilled at completing water heater installations and repair projects. As specially trained contractors, you can expect top rated service and quality results. If you’ve been experiencing issues with your current hot water system, then it’s time to schedule a consultation with an insured and licensed plumbing company. Our experienced plumbing contractors can help you find a solution based on your home’s needs. Let us guide you through the process of a water heater installation. Need Affordable Water Heater Installation in Los Altos CA? Often, there are several indicators that a water heater system is failing. As a homeowner or business owner knowing these signs is essential if you want to prevent the progression of the issue. Depending on the maintenance a water heater can last between ten to fifteen years. Check out these common signs of a faulty water heater. One of the most common indicators of a failing water heater is a recurring popping or banging noise. This typically happens when you turn on the hot water. We’ve found that this issue is commonly related to a build-up of minerals in the water tank. As the water begins to heat up, the mineral deposits insulate the rising heat from the water. This causes the tank to overheat and make loud intrusive noises. When left unchecked, the constant overheating will eventually erode the metal which leads to the death of the water heater. Is your hot water coming out lukewarm? This is the biggest sign that a water heater is failing. When mineral deposits build up in the tank, the heat created from the burner starts to diminish. The loss of heat from your water supply can be contributed to a number of factors including; a failing thermostat or a damaged heating element. Have you started to notice that the hot water is smelly or cloudy? Sometimes this can be a result of the galvanizing of the attached pipes. However, increased sediment in the water tank could be the culprit. When these deposits travel out of the water tank it creates muddy looking water with a metallic odor. If water has started to pool at the base of the water this is a sign of leakage. A leaking water tank can flood your house and cause significant water damage. A leaking water heater should be replaced immediately. All water heating systems are equipped with a safety release valve that should be used when the controls fail to release excess pressure. If this valve fails can lead to the tank overheating or even worse an explosion of the tank which is dangerous. The pressure relief valve should be inspected regularly to ensure that it is in working condition. The age of the water heater unit can be an indication of whether it’s time to replace it. If you have been using the same system for ten years or more than you should be aware that it’s reaching the end of its life expectancy. There are several styles of water heaters on the market. Before you explore your options you’ll need to find out what kind of fuel source you want to utilize. A water heater can be fired by gas or electric. A standard gas water heater is fueled by natural gas. The gas burner heats up the heat exchanger which the water passes through. Gas water heaters are typically cheaper to operate but they have more upfront costs. A gas water heater can produce fifty gallons of hot water per hour. The average lifespan of a standard gas heater is about twelve years. Electric water heaters are powered by the local energy department. While electric water heaters have a recovery rate of fourteen gallons per hour they are much more energy efficient than gas heaters. Both gas and electric conventional water heaters are limited in the amount of water it is capable of holding. The amount of water supply a conventional unit can handle is dependent upon the tank size. If you’ve opted for a standard water heater unit it’s crucial to purchase the appropriate size based on the household. Modern technology has allowed for tankless water heaters. This style generates a large amount of hot water rapidly. Tankless models are an attractive option because an entire household can receive an output of hot water on demand. Tankless units are available in electric and gas powered forms. Perhaps the most common type of water heater that’s often installed in homes is conventional storage tank water heaters. This style is marked by a tank that holds the water supply. The size of the tank determines just how much hot water will be available for use at one time. Gas and electric standard units are still the most common despite the advances in technology. Standard units are less expensive than they’re energy efficient counterparts. The installation process is relatively simple since it doesn’t require complex venting. Since there are minimal installation complications they are durable. Traditional gas water heaters have a fast recovery time which means that it can provide a steady flow of hot water to large to mid-sized dwellings. Tankless water heaters are energy efficient. Compared to traditional units they only use approximately five percent of the energy source. Therefore, you can expect at least a 20% reduction in your annual water heating costs. Tankless models are typically much smaller than standard units and can be installed anywhere inside or outside of the home. The average lifespan of a tankless water heater is twenty years depending on how well the unit is maintained. Water heater systems are a necessary component of your home. After all, there is nothing more uncomfortable than not having enough hot water supply for a shower or washing dishes in cold water. Technology has allowed for more efficient and advanced water heater systems. Water heater installations should be left to the professionals. Water heaters are heavy and can be difficult for a novice to position and install. At Chandlers Plumbing our plumbing specialists can guarantee that your water heater installation in Los Altos is done right the first tim!. Our plumbing technicians have undergone intense training and can help you decide what water heating system is best for your home. With around the clock service, you can contact us for emergencies and schedule a consultation at any time. Contact us today!